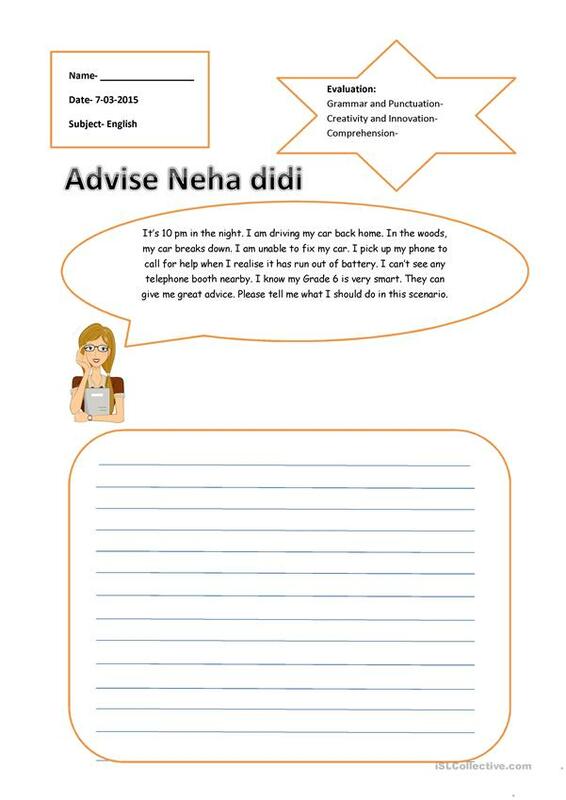 It's a writing task which is aimed at giving advice to a person who is in a problem. The students problem solviing skills, presence of mind, use of should will be tested. The answers are open ended, so there are no fixed solutions. This task can be given as homework and discussed in class later. The present downloadable handout is meant for high school students at Pre-intermediate (A2) level. It is aimed at teaching Should in English, and is useful for improving your groups' Writing skills. It centers around the topic and words of Travel. KaktanTFI is from/lives in India and has been a member of iSLCollective since 2015-04-16 07:42:27. KaktanTFI last logged in on 2015-07-02 13:24:35, and has shared 1 resources on iSLCollective so far.